Reading the Egyptian Art (I). Egyptian art had a magical-functional purpose and did not take into consideration the figure of the spectator. 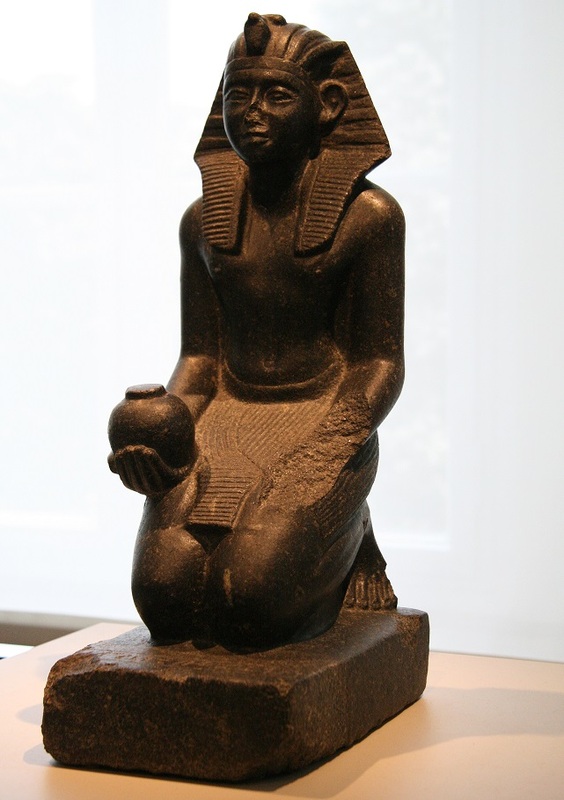 For that reason, we cannot consider Egyptian art from just an aesthetic empiricism. Which makes art feel in a subjective way through sensations. We must read the Egyptian Art from the technical realization, but also from its ideological-religious motivation, a motivation of a social group that gives the work a collective nature. Egyptian Art is Objects and Texts. In ancient Egypt written language and figurative language go together. Usually the images reach where the texts do not arrive and vice versa. For that reason, Objects in Egyptian art must be “read”, as if they were manuscripts or inscriptions. The art of ancient Egypt is neither as transparent nor as natural as it seems at first sight. Egyptian Art is a figurative art that does not always present evidence and whose images often contain codified information. Statue of Ramses II from Tanis. 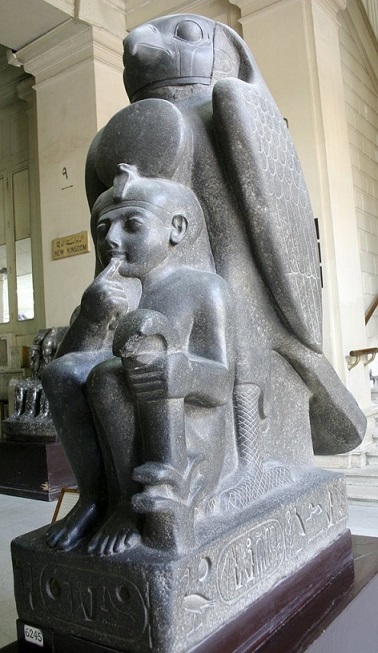 We have a good example in a statue of Ramses II, from Tanis and now in the Cairo Museum At first glance, it is an image of Ramses II child protected by the figure of the god Huron. However, this, which is pure iconography, has an iconology that turns this statue into a true cryptogram in three dimensions. • The solar disk that appears on the head of Ramses is “Ra” in Ancient Egyptian. • The image of Ramses is that of a child and follows the protocol of the infantile effigies: the finger of the right hand to the mouth. We should read this part of the statue as “mes”, which means “child“ in Egyptian. • Ramses holds with his left hand a reed, which was in Egyptian the word ”su”. Reading together these three parts, we say Ra-me-su, the name of the Pharaoh. We find a sculpture that embodies Ramses II, but also contains his name. Another example is the royal statues in which the sovereign appears holding some offerings in the form of globular containers. Normally these vessels contain water or wine, so these statues represented the sovereign making a libation. Nevertheless, a more exhaustive analysis shows us that this is not really the case. Usually, the only text inscribed on these statues is a title inscription on the dorsal pillar or on the base of the figure. However, in some statues of this type of Queen Hatshepsut, we read inscriptions like these ones: “Maatkare is the one who offers Maat to Amun” or “The Perfect Goddess Maatkare is the one who offers the vegetables to Amun“. That is, the text does not indicate that the gesture of delivering globular vessels is a gesture of libation; we are not necessarily facing a liquid offering. Actually, what the statue reproduces is the henek gesture. That in Egyptian means “to offer“ and the hieroglyphic is: It follows that these images with the globular vessels nw are not indicating a libation, but simply an offering. The Egyptian artist shapes the hieroglyph in three dimensions, uniting it with the image of a monarch. Reading the Egyptian Art (II).